Theodore's Royalty and Monarchy Site > Categories > Europe > Grand Duke George marrying a commoner? I will disappoint you: there are very few people here. You can even say that such people are units. I have already written that we created our first organization of young monarchists in 1989-90, when the USSR was. Then we were only five people. In 1990, we joined the Russian Imperial Union-Order (Russian Legitimists), and in 2014 we began to make a separate organization of the Siberian Monarchy League. I say this in order to explain: for almost thirty years I have been watching people here, we have been involved in social, political and cultural life for almost thirty years, and on this basis we can draw some conclusion. Alas, alas, the conclusion is sad. You know that Russia has been under the rule of the communist dictatorship for 70 years. 70 years is a very long period, too long. The Communists said: "We will educate and create a new people, the Soviet people." The Communists succeeded: they brought up and created a new, Soviet people. This is probably the only thing that the Communists managed to do, but it's already a lot. Countries such as Hungary, Romania, Poland, Bulgaria, Czech Republic, Slovakia, Croatia, Serbia, Montenegro, Albania, Lithuania, Estonia, Latvia, were under communist rule for about 50 years. This is also a very long time, but it is not critical. In these countries were still alive people who fought against communism, who remember the royal time (where the Kings were). When communism fell in these countries, such people were still alive. There was a continuity of the generation. As a result, there are strong monarchist sentiments, there are monarchist parties. Even in countries where there was no King (Lithuania, Czech Republic, Estonia, Poland) there are strong monarchist parties that sit in parliament. In Russia, communism formally fell in 1991. By this time, there were no more people who remember the Romanov Empire. If this happened before the age of 20, if communism collapsed in the late 1960s or early 1970s, then perhaps we would have some chance. But Russia has passed its "point of ek to return." As a result, in Russia and in Siberia there are individual monarchists, like us (in our organization today there are about 20 people and about 100 supporters and friends). But it is difficult to talk about mass monarchist sympathies. There is an illusion: there are many people here who say: "I am a monarchist, I am for the King!" But these people do not understand how the Russian Empire differs from the Soviet Union; they equally well treat the Emperor Nicholas II and Joseph Stalin; these people go to church and consider themselves Christians, but they also come out with red flags on May 9. They say: "You do not need to share history, you do not need to give up the Soviet period!" These people are rather etatists, but not monarchists. They use regalia and symbols of the Russian Empire, but this is only decoration. The modern Russian government welcomes this. What is happening now in Russia is not the real Christian Renaissance, it is Soviet fundamentalism with a monarchical decor. It is Soviet fundamentalism. After 1991, there was no decommunization of the regime in Russia, there was no lustration. Most of those who ruled the USSR, they retained power. They removed Party CPSU tickets, they began to call themselves "democrats", but they remained the same as they were. It is very sad that there is the Russian Orthodox Church. Probably, do you know that in 1938 there was a "godless five-year plan" in the USSR? This year in the USSR there was not a single functioning temple left, and all priests and bishops were imprisoned in the Gulag. When the war broke out between the USSR and Germany, German troops allowed to open Orthodox churches in those territories where they were. Therefore, people rejoiced and supported the German soldiers. This frightened Stalin; he decided to create his own "Soviet church." Stalin ordered his secret police of the NKVD to do this. In 1943, three bishops brought from the Gulag to the Kremlin: Sergius, Alexei and Nikolai; they were told to create the Church. Stalin then wanted to use this church as a "Russian Soviet counterweight" against the Vatican. This church was completely controlled by the political police of the NKVD: for example, the bishop did not have the right to ordain for the priest unless he was authorized by the NKVD. Thus, all the priests were first checked for security, only after that they became like priests. The worst thing was that the bishops suited it, the bishops liked it. The bishops were included in the number of "Soviet nomenclature", they had rich houses, cars, good food ... Thus, the high hierarchy fell into the "golden cage": on the one hand, they were bribed by earthly luxury, and on the other hand they were followed secret police. High hierarchy has become, like a doll puppet in the hands of Communists and the KGB. I wrote about this because I see how good people abroad look at Russia, and they think: "The Christian Monarchy is reborn among Russians, it's good!" Nothing here is reborn, it is an illusion, a deception. I do not want you, gentlemen, to deceive yourself. Everything is very sad ... Soviet Stalinist fundamentalism, even if it is covered with icons and the Holy Cross, it is not a Christian Monarchy - this is an evil caricature, an ugly caricature. Thank you, dear Mr. Bator. I am pleased to learn that these messages are of interest to my like-minded people, that I wrote this in vain. One fine quality in the Archduke was his fearlessness. He was quite clear that the danger of an attempt to take his life would always be present, and he often spoke quite simply and openly of such a possibility. A year before the outbreak of war he informed me that the Freemasons had resolved to kill him. He even gave me the name of the town where the resolution was passed—it has escaped my memory now—and mentioned the names of several Austrian and Hungarian politicians who must have been in the secret. He also told me that when he went to the coronation in Spain he was to have made the journey with a Russian Grand Duke, but shortly before the train started the news came that the Grand Duke had been murdered on the way. He did not deny that it was with mixed feelings that he stepped into his compartment. As I pointed out in the previous thread where Dom trawled this rubbish, what it amounts to is 'Someone now dead told me something in private with supporting detail which I can't now recall'. I would not advise anyone to offer such a statement in support of a lawsuit, they would immediately and totally discredit their case. I don't think the statement works too well either as evidence of a murderous masonic conspiracy. Further, there was no Russian Grand Duke murdered on the way to Alfonso XIII's coronation. None. Until the Communists cut loose in 1918 only one Russian Grand Duke had been murdered ever, and he was on his way from one part of Moscow to another, not to Madrid, the little matter of three years after the coronation in question. The Archduke was a man of the most upright and unbending moral character and would never have invented such a story. I have no reason to impugn the honesty of Count Ottokar either, but his recounting a story which cannot possibly be correctly recalled does undermine even more the evidential value of his other recollection. Not that it wasn't completely worthless anyway. Dear Sir, Mr. Peter, we are not talking about a "conspiracy of Freemasons." All conspiracies were made by revolutionaries, terrorists and other rebels. 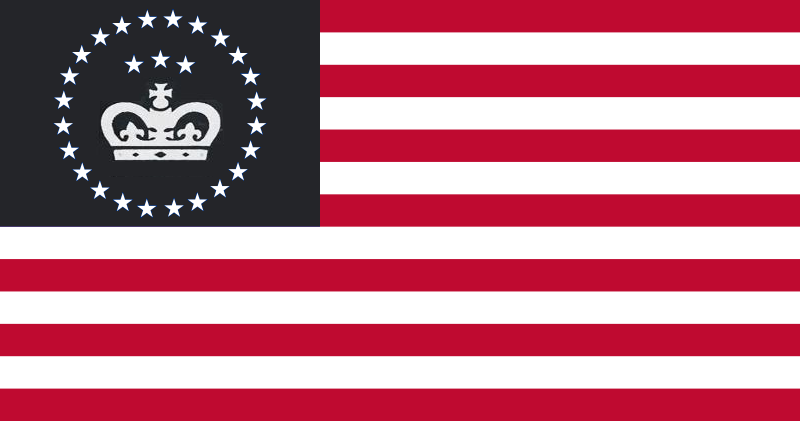 If these rebels were connected with some foreign states, and if they used the Masonic lodges for this, then we should treat the Masonic lodges only as a neutral territory for negotiations. It was for this purpose - a neutral territory for negotiations - that all Masonic lodges always existed. To say that "Freemasonry wants to seize the whole world" is like saying that "my phone overhears me". Freemasonry is a means of communication, nothing more. 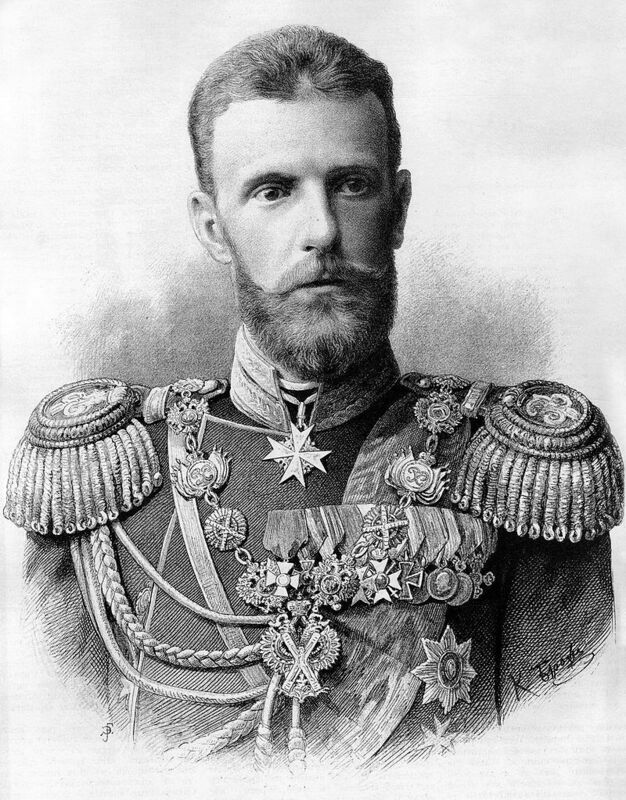 Russian Duke Sergey Alexandrovich was killed by terrorists in Moscow on February 17, 1905. His crew was blown up by terrorist Ivan Kalyaeff. No Masons to this murder have anything to do with; Duke Sergei became a victim of the Socialist Revolutionary Party. It was the left socialist party, which practiced terror and which was a rival to the Bolshevik party. All terrorist acts against officials of the Russian Empire were made by members of the Socialist Revolutionary Party. After the October Revolution of 1917, this party of Socialist-Revolutionaries was in opposition to the Bolsheviks, since Lenin did not want to share power with anyone. It is known that a woman from the party of Socialist-Revolutionaries Fain Kaplan tried to kill Lenin in 1920 with a revolver. But she was captured on the spot, then was tortured and killed. After that, the Bolsheviks cracked down on the Socialist-Revolutionary Party (the spiders in the glass are killing each other). Duke Sergei Aleksandrovich, who was blown up by the Socialist-Revolutionaries in 1905, was the General Governor in Moscow. He was a native uncle for Emperor Nicholas II. He was also married to the sister of Empress Alexandra Feodorovna, to Princess Elizabeth Alexander Louise Alisa Hessen-Darmstadt. In Russia, this princess, according to the laws, moved to the Eastern Christian Church and received the name of Elizabeth Feodorovna. Children from this marriage was not. After the murder of her husband, the Duchess Elizabeth Feodorovna became a nun. She went to prison to Ivan Kalyaeff, brought him the Bible, asked him to repent of crimes as a Christian. She even asked Emperor Nicholas II not to execute this terrorist Ivan Kalyaeff by death. Duchess Elizabeth, when she was a monk, founded a community of sisters in honor of Saints Martha and Mary, helped many poor and sick. During the WWI years, she visited hospitals for wounded soldiers, she herself washed and bandaged their wounds. After the accursed revolution of 1917, she, together with the other Dukes of the Romanovs, was arrested and taken to the Urals. The death of her and the other princes of the Romanovs was terrible: the Bolsheviks shot them, but not to death. Then they threw them into a deep well, bombs were thrown from above. This happened in the taiga near the city of Alapaevsk in the Urals. Then people said that for a few days prayers and church singing could be heard from a deep well. Apparently, the martyrs did not die at once. In 1980, the Duchess Elizabeth Feodorovna, together with the Emperor Nicholas and his family were enlisted as a holy martyr in the Russian Emigrant Orthodox Church (not the Moscow Patriarchate!). Duke Sergei Alexandrovich, killed by a terrorist Kalyaeff, was buried in Moscow, on the territory of the Kremlin. A large cross was placed on his grave. In 1920, Lenin and the Bolsheviks held a "subbotnik" (this is a free job cleaning garbage, which everyone should do on Saturday before Easter). Lenin and the Bolsheviks did such cleaning on the territory of the Kremlin. Lenin said: "Why is this muck here?" and pointed to the cross on the grave of Duke Sergei. Lenin said: "Bring a rope rather! ", Made a loop from the rope, threw it at the cross, and began to yank along with other Bolsheviks. Then he said: "To the Son of God - a noose around your neck!". That's what Bolshevism is. A chief goal for monarchists in Russia should be to reeducate Russians about their history – especially the pre-Revolutionary period. This can be done thoughtfully, but memes and propaganda also entice the young. BTW, does the Alliance Royalists of Siberia see itself forming a kingdom separate from the main part of Russia? I don't see the current government allowing that. Also an independent Siberia would be extremely vulnerable to greater powers to the east. Dom, how the US dealt with monarchies around the world in the 20th century is appalling. Our government is especially responsible for pulling the plug on the Russian counter-revolution. This wasn't a conspiracy of Jews or Masons (Jews had little influence at that time), but the general leftward consensus of our elite going back to the founding. The US is always progressing leftward and pulling the rest of the world with it. We love popular revolutions. Although communism was a rival in the 20th century, it was more of an ally than the traditional monarchies and fascism. We both try to achieve an egalitarian globalist state by different means. The original sins of the US were slavery, democracy, and sedition. We've been paying for it ever since. Yes, quite rightly: the main goal of monarchists in Russia is not a petty policy, but a long education of people. Those who grew up and brought up in the USSR, we are not interested: these people will not be able to remodel. Therefore, we prefer to work with young people: those who are between 16 and 30 years old. This is the most grateful audience, they are not sick with the Soviet infection. And by the way, a very effective way is fiction. So, my wife Mary is a popular writer for young people. She creates fantastic books in which a good Empire and Emperor stand up against the bad Republic and Che Guevara. This is a popular way, it is a success. To the second part of the question: yes, we are considering the possibility of the Independent Kingdom of Siberia. I think it's even more realistic. Now Siberia is like a colony of Moscow. In Siberia, only 12% of the Russian population live. But at the same time, Moscow sells Siberian oil, gas of Siberia, timber of Siberia ... This is not all: Mr. Medvedev, when he was President, gave the fertile lands of Siberia for 50 years in rent to the Chinese. This is done in exchange for the fact that the Chinese will bring goods to Siberia, like clothes, shoes, dishes, cheap gadgets. All these goods can be made here, why should the Chinese be allowed to Siberia? We know how Chinese tenants do with the land they rent: they use poisonous fertilizers, after that nothing grows 20 years. In Siberia, people understand that one can not depend on China, but in Moscow they do not understand this. Or do not want to understand it. Siberia has a chance that there will be a "Second Canada": the same Kingdom as Canada. There is the same climate as in Canada, the same transport conditions, the same population density. The independent Kingdom of Siberia is less likely to fall under the influence of China and Japan. When Siberia is part of Russia, such a chance increases: Moscow has long been under the influence of China. We do not mind that Siberia was a part of Russia. But, first, in the Russian Empire, Siberia had autonomy: it was the Kingdom of Siberia with its capital in Tobolsk. Secondly, if there is no possibility of restoring the monarchy in the entire territory of the former Empire, some part must be restored. However, the Siberian Royalist Alliance does not do this now: we are studying this possibility in the future. Monarchists accepted as a "good tone" to scold the United States of America. I do not do it. The United States of America is a great country that defeated Soviet Bolshevism. We always remember this, and we are always grateful for that. Yes, in the US there is a very large republican and anti-monarchical tradition, we know about it. But, on the other hand, it was the US that provided shelter to our Russian emigre anti-communists and monarchists. For example, in Los Angeles, the Russian monarchical magazine "Soglasie" was published, in San Francisco was published the Russian conservative anti-communist magazine "Our News". Since 1947, it is in the United States that the main office of the Russian Imperial Union-Order is located - this is the oldest organization of Russian monarchists. And we know that in the United States a lot of people have always been on our side. I do not want to scold and curse the US: this is stupidity and ingratitude. Your government in the 1970s helped to fight communism in South America: in Chile, Paraguay, Argentina. Your government supported His Imperial Majesty Shah of Iran Muhammad Reza Pahlavi. Your government provided shelter for the Shah. It is noble and correct. Your politicians are many left, but your American people hold on to conservative and Christian values. Therefore, the United States of America will defeat "internal communism," I believe in it. I am disappointed to hear about the 50 year lease –– once the Chinese have been there tilling the land for that long, it will be hard to remove them. They will probably want to be annexed by China and we'll see if Russia will be strong enough to resist them. I do not doubt that Siberia is rich in resources, which is why your neighbors will look at it greedily. Canada only needs to worry about the US, which seems to have no plans to invade in the near future. Siberia will be sandwiched between Russia and China. Who will defend Siberia from attack –– the UN? I hate to put it that way, but I always think about national security. About the US, I beg to differ. The US is the leader in undermining tradition. What we offer is anti-traditional, even if it isn't Soviet style communism. The end will still be egalitarian atheistic globalism. We may haphazardly do something right in the particular, but the long game looks bleak. a note to peter: as far as i have read anywhere, there was no coronation for alfonso xiii as castillian coronations only took place in the middle age. It is unlikely that China will want to add these territories to itself: China knew about the Siberian lands much earlier than Russia, but never attached them. Chinese people do not like to live in a cold climate, they are southerners. But it can turn out differently: for 50 years of rent, the Chinese will turn this land into a dead desert, in which there will be no life. They squeeze everything, everything, everything and go back. In the 1990s, in the Russian Primorye, the Chinese were already given land rent: they cut a fertile layer of black soil and took them to China. There was only one clay left. And the government in Moscow is never interested in life in Siberia: Moscow belongs to Siberia just like China - they will never live here, they are only interested in making profit. Yes, Siberia has rich resources, it's true. But I am convinced: a state that trades in resources is not a rich state, it is a poor state. To extract resources is very hard work for people with low qualifications. He who has wealth, never extracts resources, he buys resources for money. When the Old Time was right, the baron did not plow the land, did not graze cattle - he simply bought bread, milk, wine and meat from the peasant. So it is with states: the poor do hard work, the rich buy their raw materials. Therefore, we think so: if the state wants to become rich, then the authorities must understand and speak for themselves: "Our main and our only wealth are our people, their brains, their ideas, their experience." The only way. When, after the revolution of 1917, the Duchy of Finland gained independence, they had no resources other than forests. Wise and great Karl Mannerheim then wrote a single law that made Finland rich: "Wood from Finland can not be taken away!" You can take away the boards, and you can take away the paper, and you can take away the wooden furniture - but wood can not be taken away as raw materials. This allowed to attract investments and create jobs, develop industry, receive taxes and build a new state. Russian Communists never did that. They did as they were easier and cheaper: they sold Siberian oil and gas to Europe. Brezhnev sold, then Gorbachev sold ... Then communism ended, and the tradition remained: Yeltsin sold, Putin sells oil and gas to Europe, sells timber to China ... They sell aluminum to China, they want to sell electricity ... At the same time, the population here has a total annual income of $ 3,000 for each, and even less. This is all income from which you still have to pay taxes. 3.000 $ per year per person! Can we expect that with such an economy Russia will someday be like a great state ...? Yes, of course, if we imagine, as if tomorrow Siberia is separated from Russia and becomes an independent state, this will be a very complicated process. Russian oil and gas companies (Gazprom and others) will not want to lose their business in Siberia. Communist China wants to have a government in Siberia that will be loyal to them. There is also some "Islamic factor", there are many others ... This is true. If there is an independent Siberia, then it must seek allies in the world - such allies can be the United States, Britain, the European Union and the British Commonwealth (Canada and Australia). This is also not a good way out ... And of course, Japan, too, will not calmly watch this ... There are many external facts, and there are external dangers. But there is another thing: this Siberian land can no longer live as it is now. This is a big problem. Therefore, wise and independent political leaders are needed-such as the great Mannerheim, or Franco, only for Siberia. And the right political and economic programs are needed. You are right about your country: in fact, the United States of America is always trying to destroy Tradition and Monarchy around the world. This is very unpleasant. And even the anti-monarchism of some American citizens reminds me of the Bolshevism of Russian Komsomol members and young atheists who were here in the 1930s. Yesterday I read an article in the blog of one of your compatriots, who is known as the "Crazy Monarchist" (maybe you know him?). He correctly wrote this: in the twentieth century in the world, on the one hand, the monarchists, on the one hand, and the communists, on the other hand, fought; The United States of America was against the Communists, but they did not want to support the monarchists, and the republican and liberal "third power" was always looking for. So it was in Tunisia and Libya, so it was in Egypt, so it was in Afghanistan, so it was in Laos, Vietnam, and in Cambodia. So it was in Indonesia and in Malaysia ... What did it always end with? America did not help the supporters of the Monarchy, and no "third force" did not appear. Or this "third force" appeared for a short time, and then it was destroyed by the Reds. Or this "third force" itself was red and left ... and America did not win anywhere.